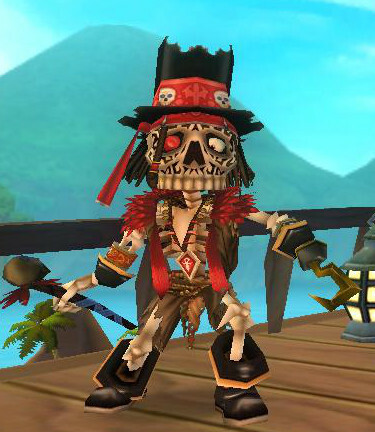 Old Scratch is widely thought of one of the best, if not the best, Witchdoctor companion in the game. Make use of his Improved Mojo Blast - train another tier of it when he promotes and he will have 3x3 attack range! Mojo Ech" is the Witchdoctor's version of Relentless and Burst Fire; while this Epic will only hit one enemy, consecutive Mojo Echoes can deal tremendous damage! The biggest fault of Old Scratch is his Accuracy - Witchdoctors that can attack multiple enemies at once have a 75% base chance of hitting an enemy, which is increased by his Accuracy. Note that enemies' Dodge are not factored in at all on attacks that hit multiple enemies, making him a great pick against Swashbucklers! If you are a Privateer, you can buff his Accuracy AND protect him, and, if the enemies are close to each other, he can continuously attack them all over and over.